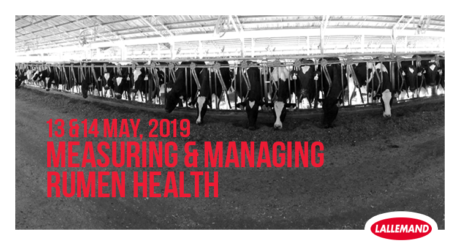 More than 50 of the country’s leading livestock nutritionists and consultants are expected to attend the 2nd “Measuring and managing rumen health” technical seminars being held in Brisbane and Melbourne this May. The seminars are being hosted by Lallemand Animal Nutrition, a global leader in the production of microbial derivatives used in the intensive livestock industries. The company’s Australian Managing Director, Alex Turney, says the seminars will highlight the significant advances in understanding rumen health that have been made in recent years. “A well-functioning rumen is the key to optimising the profitability of any dairy or beef enterprise, which is why managing and monitoring rumen health and efficiency is crucial,” he says. Each session will present a range of topics, including the impact of rumen function on health and production, nutritional strategies and ration formulation to optimise rumen function, buffer strategies and insights into acidosis and new rumen monitoring systems. “We want to present a program that addresses practical ways to optimise rumen function rather than a series of hard-core technical presentations,” Alex says. “Importantly, we have left plenty of time for discussion via a question-and-answer session with our panel of expert speakers. This year’s program features two international guests, Dr Mary Beth de Ondarza and Tony Hall. “We are delighted to secure two speakers of this calibre,” Alex says. “Mary Beth is a leading dairy nutritionist and consultant in the US and is well-known as the author of numerous scientific articles, technical bulletins and literature reviews. “Tony is a technical services expert with Lallemand Animal Nutrition and has more than 30 years’ experience in dairy production systems throughout the world. Other speakers include Lallemand Animal Nutrition Technical Services Manager, Natalie Schwerin, and representatives from Pancosma and smaXtec, who will discuss cutting-edge rumen monitoring and analysis systems. The Melbourne session will be held between 11 am and 4 pm at Quay West Suites, South Bank on 13 May. The Brisbane seminar will be held between 12 pm and 5 pm at Rydges Southbank on 14 May. Each session will be followed by a dinner hosted by Lallemand Animal Nutrition to provide the opportunity for participants to network with their industry colleagues. Registration is free but places are strictly limited. Contact your Lallemand Animal Health representative as soon as possible to secure your place. Registrations close 6 May, 2019.